That's double the session time from a year ago, executives said Thursday. Why stop your video for a snack, or when nature calls, when you’ve got a smartphone? 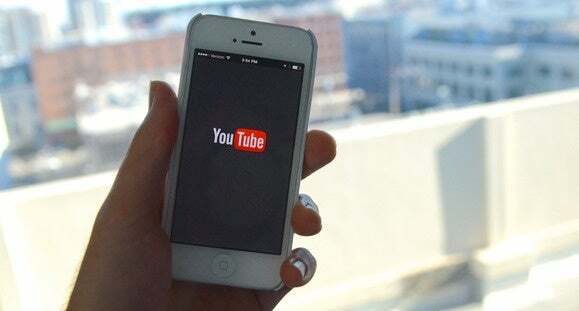 On mobile devices, the average length of a viewing session on YouTube is now more than 40 minutes, Google reported Thursday. That’s double what it was last year, CFO Ruth Porat said during the company’s quarterly earnings call. Some Periscope users have used the app to livestream episodes of the popular TV series “Game of Thrones,” despite the risk of copyright infringement. The average length of a “Game of Thrones episode” is close to an hour. In reporting its results, Google also said YouTube is becoming a stronger contributor to its advertising revenue. The number of advertisers running ads on YouTube has risen 40 percent from last year, while the average spend per advertiser has increased more than 60 percent. But Porat wouldn’t say how much money YouTube is making. Google’s total sales for the quarter rose by 11 percent, to $17.73 billion. Its revenue growth has slowed in recent years, partly due to the challenges of making money from ads on mobile devices. But the company said Thursday that it was narrowing the gap between mobile and desktop ad prices.